Professor Guo Liejin was born in Oct.1963. He is the Professor of Xi'an Jiaotong University, awardee of the National Science Fund for Distinguished Young Scholar. 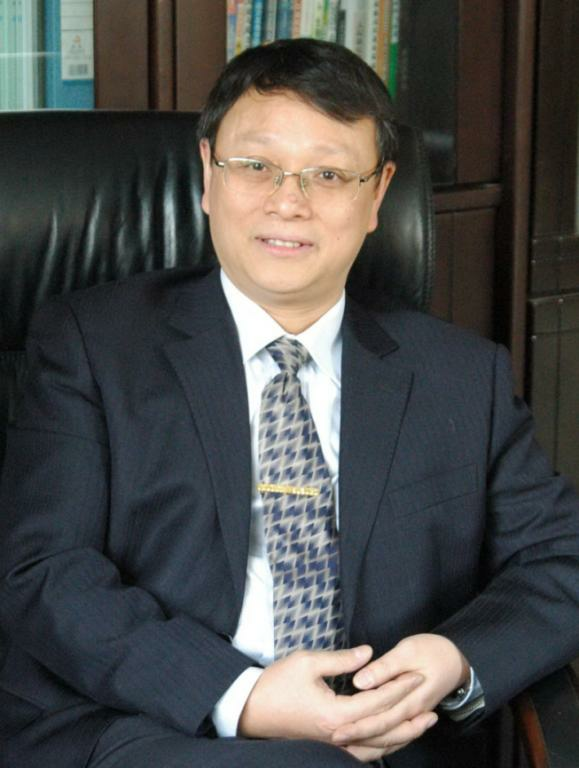 He is one of the first batch of Distinguished Professor of "Changjiang Scholars Program". He is the director of the State Key Laboratory of Multiphase Flow in Power Engineering of Xi'an Jiaotong University, ane the director of the International Research Center for Renewable Energy of Xi'anJiaotong University. The research team led by Prof. Guo Liejin was selected as the first batch of Changjiang innovation team by the Chinese Ministry of Education in 2004. His research team was also selected as the first Creative Research Group of NSFC (National Natural Science Foundation of China) for Engineering Thermophysics and Energy Utilization, receiving supports from NSFC for three consecutive periods ( 2006,2009,2012 ).The project name is "Multiphase Flow Theory Basis in Highly Efficient Energy Saving and Renewable Energy Conversion” (2005-2014). He is the Chief Scientist of the National Key Basic Research Program of China ( known as 973 Program, 2003 and 2008) , with the projects name of “Basic Research of Mass Hydrogen Production Using Solar Energy” (2003-2009), and “Basic Research of High efficiency and low cost direct solar chemical and biological conversion and utilization” (2009-2014). He is one of the leaders of the National Key Research and Development Plan of China, whose project name is “Basic research on Coal gasification with supercritical water hydrogen production and H2O/CO2 Power Generation” (2016-2021). He is the leader of the Recruitment Program of High-end Foreign Experts of the Ministry of education and the SAFEA（111）, with the project of “Thermophysical Sciences of Energy Efficient and Renewable Utilization”（2007-2016）. He has Published more than 500 papers on many internationally renowned academic journals, including NAT COMMUN,NAT ENERGY,AT PHOTONICS, CHEM REV, JACS, IJMF, IJHE,etc., along with 8 book series and numerous patents. Among his published papers, twenty-three are selected as highly cited papers by ESI. His publications are cited 20192 times on the "Google Scholar", 14937 times on the "Scopus",and 419 SCI papers and 2 books are cited 13800 times on the "Web of Science" (update 2018-03-14). He is on the list of the “top 1% of highly cited authors”of Royal Society of Chemistry journals in 2014, as well as the list of the “Highly Cited Researchers” of the Thomson Reuters respectively in 2014, 2015, 2016, and 2017. He is the "Most Cited Researcher in Energy Science and Engineering", and is on the list of the “Most Cited Researchers: Developed for ShanghaiRanking's Global Ranking of Academic Subjects 2016 by Elsevier”. Beyond his outstanding scholastic and research achievements, his work has significantly promoted the development of industrial technology for energy supplications. As the first contributor, he was awarded two second prizes of the National Natural Science Award, one second prize of the National Technology Invention Awards, and five science and technology award in ministerial and provincial-level. Moreover, he has obtained more than 50 authorized patents. Many achievements of his research team have been successfully applied in many fields, such as thermal power, aerospace, marine oil, etc., which greatly promoted industrial development and technology progress.In 2017, he won the first place of the National Innovation Award.